Sleep disorders attracted my interest during my neurology training. 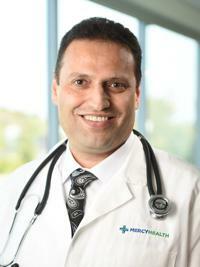 When I came to Mercy Health, many of my patients followed me which showed me a sense of appreciation for my patients. I believe I can play an essential part in providing care to the thousands of patients with sleep disorders. I like to be a step ahead with the newest treatments for my patients to provide them with the best care.